Hammock is a term used in the southeastern United States for stands of trees, usually hardwood, that form an ecological island in a contrasting ecosystem. Hammocks grow on elevated areas, often just a few inches high, surrounded by wetlands that are too wet to support them. The term hammock is also applied to stands of hardwood trees growing on slopes between wetlands and drier uplands supporting a mixed or coniferous forest. Types of hammocks found in the United States include tropical hardwood hammocks, temperate hardwood hammocks, and maritime or coastal hammocks. Hammocks are also often classified as hydric, mesic or xeric. The types are not exclusive, but often grade into each other. Many societies now realize that swamps are critically important to providing fresh water and oxygen to all life, and that they are often breeding grounds for a wide variety of species. Indeed, floodplain swamps are extremely important in fish production. Government environmental agencies (such as the United States Environmental Protection Agency) are taking steps to protect and preserve swamps and other wetlands. In Europe, major effort is being invested in the restoration of swamp forests along rivers. Conservationists work to preserve swamps such as those in northwest Indiana in the United States Midwest that were preserved as part of the Indiana Dunes. The problem of invasive species has also been put into greater light such as in places like the Everglades. The Sudd and the Okavango Delta    are Africa's best known marshland areas. The Bangweulu Floodplains make up Africa's largest swamp. The Tigris-Euphrates river system  is a large swamp and river system in southern Iraq, traditionally inhabited in part by the Marsh Arabs. The Atchafalaya Swamp at the lower end of the Mississippi River is the largest swamp in the United States. It is an important example of southern cypress swamp  but it has been greatly altered by logging, drainage and levee construction. Other famous swamps in the United States are the forested portions of the Everglades, Okefenokee Swamp, Barley Barber Swamp, Great Cypress Swamp and the Great Dismal Swamp. The Okefenokee is located in extreme southeastern Georgia and extends slightly into northeastern Florida. The Great Cypress Swamp is mostly in Delaware but extends into Maryland on the Delmarva Peninsula. Point Lookout State Park on the southern tip of Maryland contains a large amount of swamps and marshes. The Great Dismal Swamp lies in extreme southeastern Virginia and extreme northeastern North Carolina. Both are National Wildlife Refuges. Another swamp area, Reelfoot Lake of extreme western Tennessee and Kentucky, was created by the 1811–12 New Madrid earthquakes. 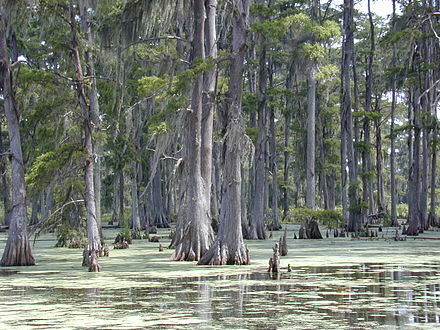 Caddo Lake, the Great Dismal and Reelfoot are swamps that are centered at large lakes. 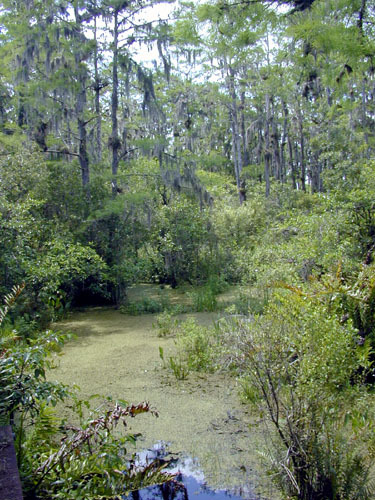 Swamps are often called bayous in the southeastern United States, especially in the Gulf Coast region. The world's largest wetlands include significant areas of swamp, such as in the Amazon and Congo River basins. Further north, however, the largest wetlands are bogs. The Pearl River is a river in the U.S. states of Mississippi and Louisiana. It forms in Neshoba County, Mississippi from the confluence of Nanih Waiya and Tallahaga creeks. and has a meander length of 444 miles (715 km). The lower part of the river forms part of the boundary between Mississippi and Louisiana. The river contains large areas of bottomland hardwood swamp and cypress swamp, providing habitat for many species of wildlife including sturgeon and black bears. As recently as 2008, endangered Ivory-billed woodpeckers were reportedly sighted here. The mouth of the river provides important marsh habitat along salinity gradients; these marshes have been the subject of many scientific studies. It is considered to be one of the most critical areas of natural habitat remaining in Louisiana. The Mississippi state capital, Jackson, is located on the river. The Mississippi River is a tributary of the Ottawa River in Eastern Ontario, Canada. It is 200 kilometres (120 mi) in length from its source at Mackavoy Lake, has a drainage area of 4,450 square kilometres (1,720 sq mi), and has a mean discharge of 40 cubic metres per second (1,400 cu ft/s). There are more than 250 lakes in the watershed. 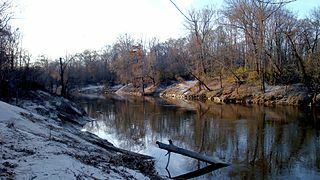 The Atchafalaya River is a 137-mile-long (220 km) distributary of the Mississippi River and Red River in south central Louisiana in the United States. It flows south, just west of the Mississippi River, and is the fifth largest river in North America, by discharge. The name "Atchafalaya" comes from Choctaw for "long river", from hachcha, "river", and falaya, "long". The wetlands of Louisiana are water-saturated coastal and swamp regions of southern Louisiana. The Okefenokee National Wildlife Refuge is a 402,000‑acre (1,627 km2) National Wildlife Refuge located in Charlton, Ware, and Clinch Counties of Georgia, and Baker County in Florida, United States. The refuge is administered from offices in Folkston, Georgia. The refuge was established in 1937 to protect a majority of the 438,000 acre (1,772 km2) Okefenokee Swamp. The name "Okefenokee" is a Native American word meaning "trembling earth." A wet meadow is a type of wetland with soils that are saturated for part or all of the growing season. Debate exists whether a wet meadow is a type of marsh or a completely separate type of wetland. Wet prairies and wet savannas are hydrologically similar. Wet meadows may occur because of restricted drainage or the receipt of large amounts of water from rain or melted snow. They may also occur in riparian zones and around the shores of large lakes. Matchedash Bay is a bay and Ramsar wetland in Simcoe County in Central Ontario, Canada. It is the "final inland extension of Severn Sound" on Lake Huron's Georgian Bay, and is "situated at the interface between the Saint Lawrence Lowlands and the Canadian Shield ". It exhibits geologically unique features at the junction of the Canadian Shield and southern Ontario limestone. Wetland habitats in Matchedash Bay are varied, and include swamps, fens, cattail marshes, wet meadows and beaver ponds. Other features include "permanent freshwater lakes; upland hardwood forest, agricultural lands, native grass meadows and a unique, coniferous wetland forest". The Zambezian flooded grasslands is an ecoregion of southern and eastern Africa that is rich in wildlife. The Atchafalaya National Wildlife Refuge is located about 30 miles (48 km) west of Baton Rouge, Louisiana, and one mile (1.6 km) east of Krotz Springs, Louisiana, lies just east of the Atchafalaya River. In 1988 under the administration of Governor Foster the "Atchafalaya Basin Master Plan" was implemented that combined the 11,780-acre (4,770 ha) Sherburne Wildlife Management Area (WMA), the 15,220-acre (6,160 ha) Atchafalaya National Wildlife Refuge, and the 17,000-acre (6,900 ha) U.S. Army Corps of Engineers' Bayou Des Ourses into the Sherburne Complex Wildlife Management Area. Lake Ophelia National Wildlife Refuge was established in 1988 to protect the Mississippi/Red River floodplain ecosystem. The refuge is located in Avoyelles Parish, Louisiana, east central Louisiana. The refuge is named for its most prominent water body, the 350-acre (1.4 km2) Lake Ophelia that was at one time a channel of the nearby Red River of the South. A pond is an area filled with water, either natural or artificial, that is usually smaller than a lake. It may arise naturally in floodplains as part of a river system, or be a somewhat isolated depression. It may contain shallow water with marsh and aquatic plants and animals. 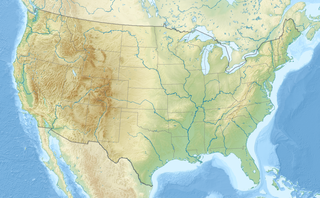 The Mississippi Alluvial Plain is a Level III ecoregion designated by the Environmental Protection Agency (EPA) in seven U.S. states, though predominantly in Arkansas, Louisiana, and Mississippi. It parallels the Mississippi River from the Midwestern United States to the Gulf of Mexico. 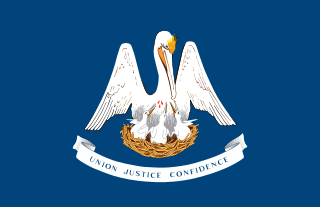 Coastal Erosion in Louisiana is the process of steady depletion of wetlands along the state's coastline in marshes, swamps, and barrier islands, particularly affecting the alluvial basin surrounding the mouth of the Mississippi River at the foot of the Gulf of Mexico on the Eastern half of the state's coast. In the last century, Southeast Louisiana has lost a large portion of its wetlands and is expected to lose more in the coming years, with some estimates claiming wetland losses equivalent to up to 1 football field per hour. One consequence of coastal erosion is an increased vulnerability to hurricane storm surges, which affects the New Orleans metropolitan area and other communities in the region. 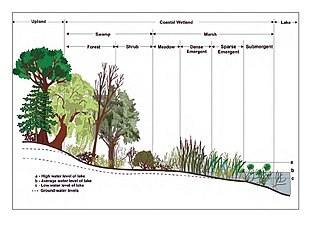 The state has outlined a comprehensive master plan for coastal restoration and has begun to implement various restoration projects such as fresh water diversions, however certain zones will have to be prioritized and targeted for restoration efforts, as it is unlikely that all depleted wetlands can be rehabilitated. 1 2 Keddy, P.A. 2010. Wetland Ecology: Principles and Conservation (2nd edition). Cambridge University Press, Cambridge, UK. 497 p.
1 2 3 Hughes, F.M.R. (ed.). 2003. The Flooded Forest: Guidance for policy makers and river managers in Europe on the restoration of floodplain forests. FLOBAR2, Department of Geography, University of Cambridge, Cambridge, UK. 96 p.
1 2 Dugan, P. (ed.) 2005. Guide to Wetlands. Buffalo, New York. Firefly Books. 304 p.
↑ Hunter, Malcolm L. (1999). Maintaining Biodiversity in Forest Ecosystems. Cambridge University Press. p. 325. ISBN 978-0521637688. 1 2 L.H. Fraser and P.A. Keddy (eds.). 2005. The World's Largest Wetlands: Ecology and Conservation. Cambridge University Press, Cambridge, UK. 488 p.
1 2 Brennan, Zoe (2006-06-24). "The superlions marooned on an island". The Daily Mail . Retrieved 2018-04-18. 1 2 Main, Douglas (2013-11-26). "Photos: The Biggest Lions on Earth". Live Science . Retrieved 2018-04-18. 1 2 "Lions of the Okavango". Siyabona Africa. Retrieved 2018-04-18. ↑ Daoudy, Marwa (2005). Le Partage des Eaux entre la Syrie, l'Irak et la Turquie (in French). CNRS. pp. 1–269. ISBN 2-271-06290-X . Retrieved 2016-04-06. ↑ "India wild tiger census shows population rise". BBC News. 28 March 2011. Retrieved 2011-02-08. ↑ Nowell, K.; Jackson, P., eds. (1996). "Panthera Onca". Wild Cats. Status Survey and Conservation Action Plan (PDF). Gland, Switzerland: IUCN/SSC Cat Specialist Group. IUCN. pp. 118–302. Retrieved 2015-09-07. Wikimedia Commons has media related to Swamps . "Swamp" . New International Encyclopedia . 1905.